Details: A 15 meter deep pit had to be excavated to locate a parking lot and a service basement on 2 levels. Challenge: The side walls were to be protected from collapsing. 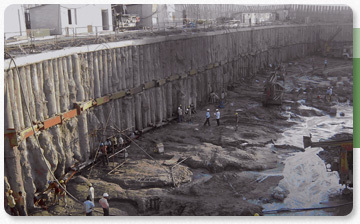 Solution: The side walls were stabilized by constructing secant piles in the sandy strata. 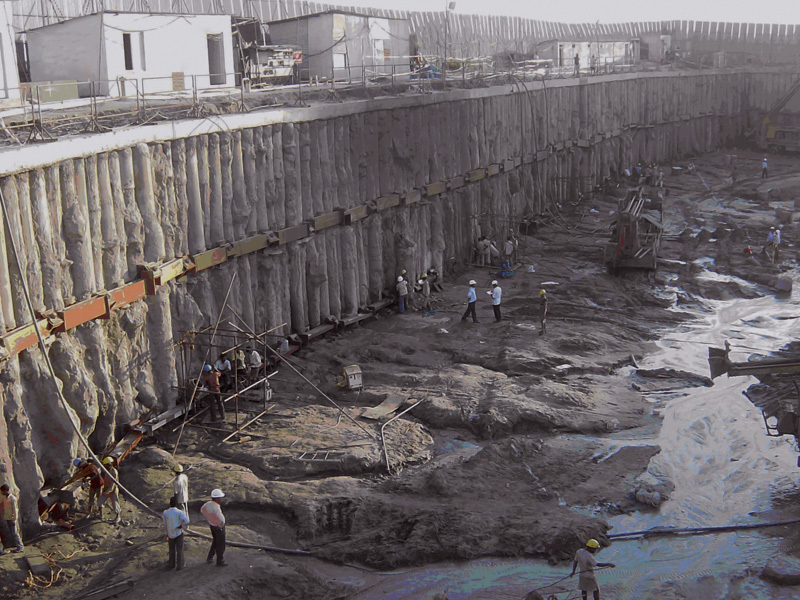 The piles were anchored to the surrounding land by providing prestressed anchors with a capacity of 150 tonne. Freyssinet 10K15 tendons of varying length (35 to 45 meter) were used. The job of anchoring about 350 tendons was completed in 4 months flat!